In the world of art, antiques, and auctions, the reality show that started it all was of course, Antiques Roadshow. But in recent years, a slew of reality TV shows have shed light on the business of art, antiques, and auctions. A few worth checking out include Pawn Stars, Storage Wars, American Pickers, Auction Kings, History Detectives, Cracking Antiques, and the genre’s latest entry, It’s Worth What? 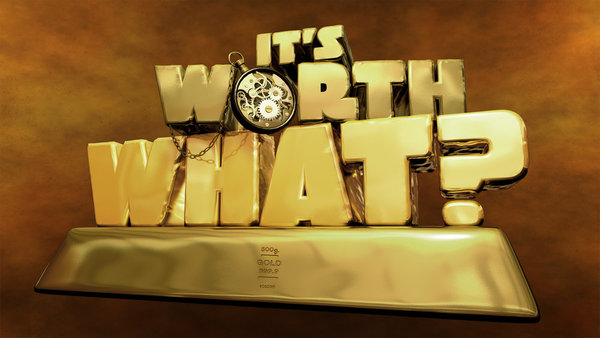 This last one is NBC’s new prime time game show where contestants compete, guessing the value of rare, quirky and beautiful art, antiques and collectibles. It features Skinner’s own Stuart Whitehurst as the show’s resident appraiser. At its best, reality TV can be informative, even enlightening, bringing us up close and personal to worlds, sub-cultures, people, and experiences we barely knew existed. Even at its worst, reality TV can be pretty entertaining. Its car-wreck attraction has us rubber-necking even when we want to look away. Some insiders of the art and auction worlds would have you believe that all of these shows are too lightweight, too gimmicky, or too staged to offer viewers any real knowledge of the objects presented or the business of appraising them. Or worse, they believe that these shows create misconceptions about the industry and the people who work, play and live within it. But I disagree. Like all reality TV, antiques and auction shows depict only a slice of reality; the camera can only capture so much and the whole story often lies beyond the confines of the lens. But I think that most viewers already know this about reality TV shows and they’re curious enough to overlook that flaw and keep watching for the opportunity of learning more. And that’s what I like about these shows; that millions of people are watching and learning about nearly every facet of the art, antiques, and auction business. The more people watch, the more they learn. The more they learn, the more they want to experience it for themselves. Watch these shows a while and you’ll see that as entertaining as they may be, they still impart the same knowledge to their viewing audience that we in the auction world teach our collecting clients. These shows educate people about why both rare and common items come to be appraised and end up at auction. They explain the process an appraiser must go through to research and identify an object. They showcase the extraordinary knowledge and talents of people in this industry. They discuss the importance of provenance, rarity and condition, and demonstrate how those attributes can dramatically affect an item’s value. And last, but certainly not least, they impart the fun and excitement of art, antiques and auctions in a way that’s never been possible before. As an antique and auction devotee, that’s really exciting to me. I’ve witnessed a tremendous sea change in the auction world over the past decade. The average person used to believe that art was too intimidating; antiques were too fussy or fragile; and auctions were only for the very rich. Not anymore. We see people of all ages, from all walks of life, from all over the globe discovering our auctions. Thanks is due in part to these quirky reality shows. They’ve shed light on the fun and fascination of art, antiques, and auctions. They entertain a lot, educate a little, and leave people wanting to know more. That’s a reality I can live with. Want to separate antiques myth from fact on your favorite reality TV show? Then watch for my next blog post: Debunking the Myths of Art & Antiques Reality TV. This entry was posted in Blog and tagged american pickers, antiques and auctions, antiques roadshow, Auction FAQ, Auction TV, Auction TV shows, Get Inspired, It’s Worth What, Karen Keane, pawn stars, reality TV, Storage Wars, Stuart Whitehurst by Karen Keane. Bookmark the permalink. My parents have some old American furniture. It has been handed down through my dad’s family who has been here since before the American Revolution. Both sides of my family have been antique collectors for generations. Our slant top Chippendale desk has hand-sawn drawer bottoms, not machine made, and we have had it authenticated to date about 1750. We also have a Chippendale chair with carving on the knees, dating to the same era. Dad passed away 2 years ago at 92, and my brother and I care for our invalid mother who is now 92. We need to sell these and other fine pieces of glass and porcelain handed down through dad’s family, such as Steuben dessert glasses, some with the original stickers, etc. My parents also bought museum quality antique ivory and satsuma from Warren Imports in Newport Beach about 40 years ago. We have many high-end pieces that we need to sell through a reputable auction house which would bring us a fair price. Our house is in So. California. The pieces need a special buyer, not your average antique store or auction. I am at a loss on where to turn to sell them. I am familiar with your name from watching Antiques Roadshow. Patricia, Our Appraisal & Auction Services department will be in touch with you soon regarding your collection. Thank you for thinking of Skinner.